Sport and recreation center in Białogard is modern center lokated in park complex. It gives an opportunity for children to spend good time over the whole year. Mountain Canoe Route in Cracovi is one of the most modern resort of that type in Europe. 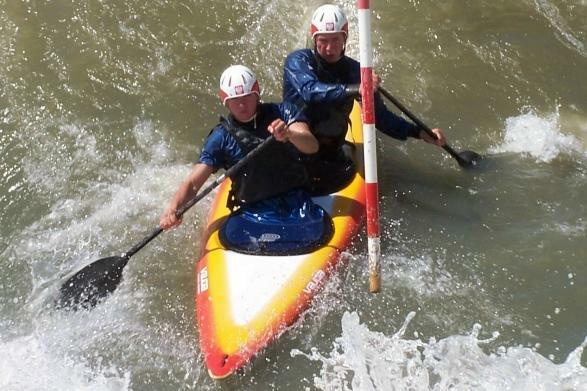 Mountain Canoe Route enables to organize trainings and competitions of mountain conoeing. Route participated in a prestigious project Cracov Royal Sports, with the aim of creating and promoting the image of local region - Małopolska in the international area through the most interesting sprots events. 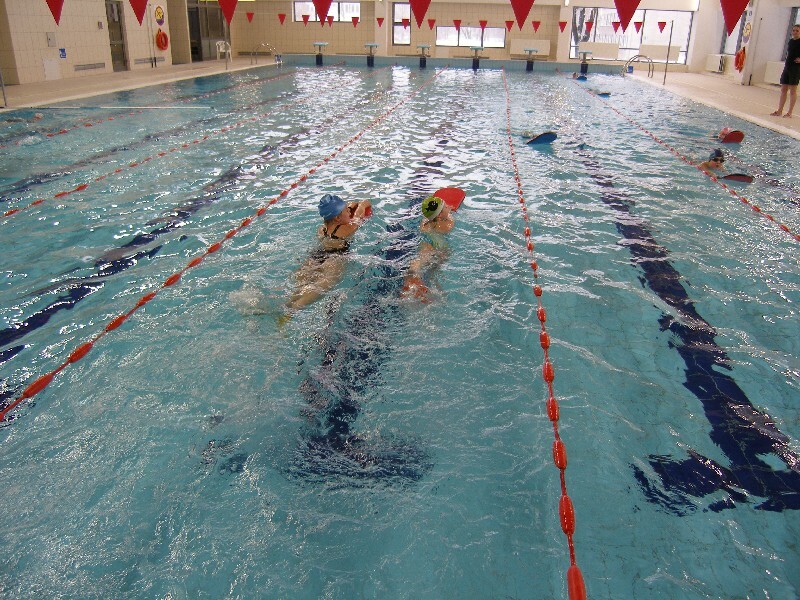 Swimming pool of AGH (AGH University of Science and Technology) is a modern centre of sport and recreation, which is situated in the ground of university's campus. 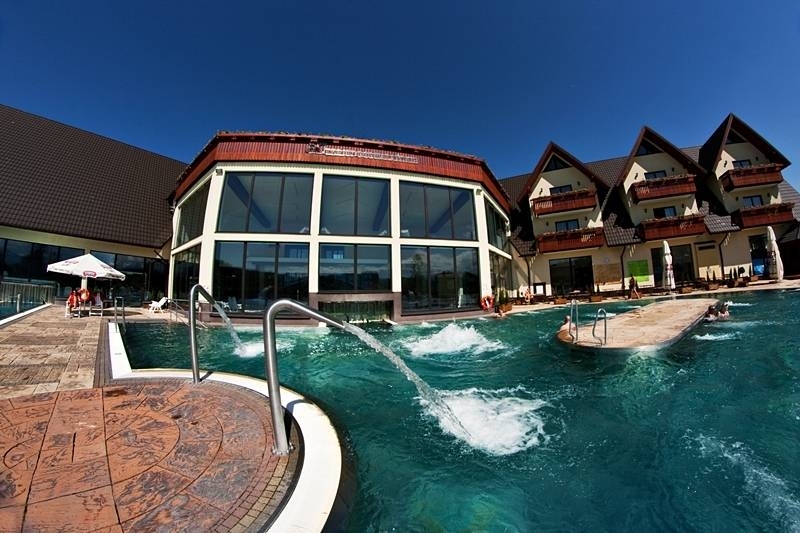 It offers a wild variety of atractions: swimming pools, jacuzzi, slide and sauna. 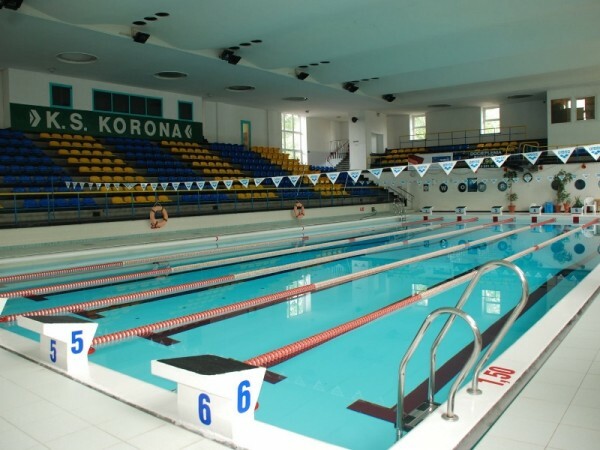 Sport Club KORONA in Cracov owns almost three centries of tradition in shaping and developing of young sportsmen. Club posses numerous medals, which was won by the sportsmen of KS KORONA KRAKÓW not only during Polish and Europe Championships, but also on World Cup Competitions. In it's rich offer, Club posses swimming pool, stadium, sport and show hall and also hotel with relax and spa area. ARENA is a modern three star hotel in the centre of Tychy. 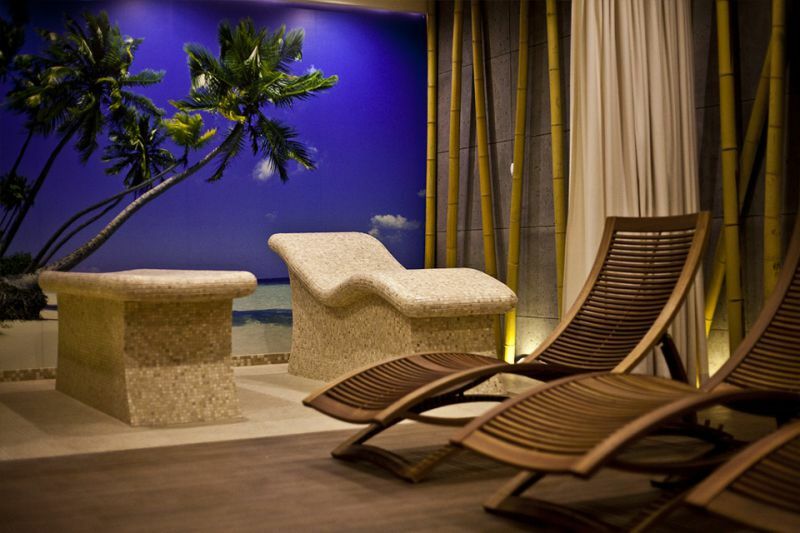 It's equipped with new spa & wellness centre. For it's guests, hotel prepared a lot od atractions and devices to improve their health, mood and apperance. Termy Szaflary is a compleks of indoor and outdoor swimming pools, which can be used during the whole year. Termy has such water atractions as slides, fountain for children, water massage devices. Resort offer for their clients also two restaurants and suites. 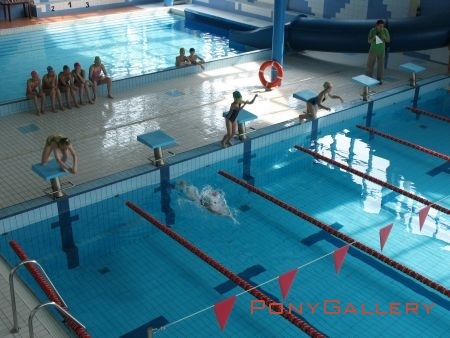 One of th most modern swimming pools in the region, located in Kujawsko - Pomorskie province. Visiters can use such atractions as swimming pool, slide, sauna and others. 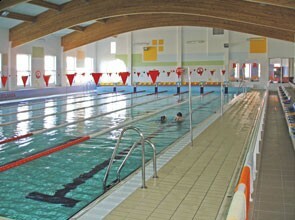 IKAR is a swimming pool in Primary School in Bydgoszcz, situated in Kujawsko - Pomorskie prowince. It offers to it's clients not only swimming pool but also sauna, slide and small swimming pool for children. 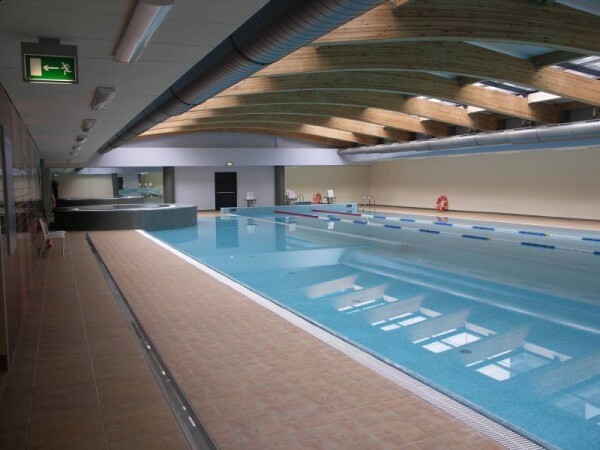 Swimming pool of COMARCH - CRACOVIA is a modern sport and recreation centre, equipped with swimming pool. Long for 25 meters, deep for 120 to 180 meters, has two sauna and modern gym.